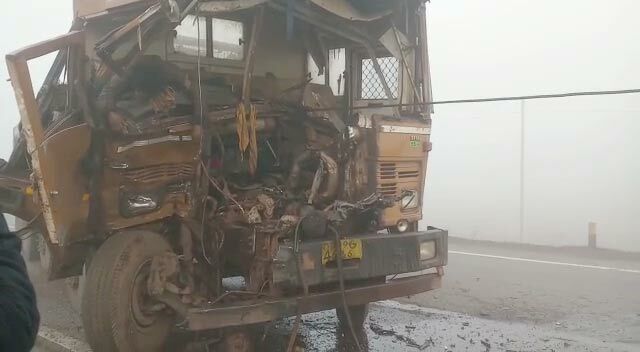 Sundargarh: One person was killed and three others were seriously injured in a series of road mishaps at Gadaposha Chhak under Kutra police limits in Odisha’s Sundargarh district due to dense fog late on Friday. According to sources, a truck driver died on the spot after collision with another truck. The helper and driver of another truck were also injured. Minutes after the mishap, a lorry rammed into the trucks as the driver could not locate the truck due to poor visibility. Some minutes after the incident, a vegetable-laden autorickshaw too hit the lorry in which the driver was seriously injured. 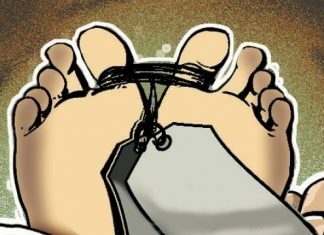 Following information, Kutra police rushed to the spot and admitted the injured to the Community Health Centre (CHC) at Kutra where the postmortem of the truck driver will be conducted on Saturday morning.